From December 5-7, The Imaging Source and their partner Argo attended the ITE (International Technical Exhibition on Image Technology and Equipment) in Yokohama, Japan. One of the largest technology trade shows in Japan, the show's core themes included robot vision, 3D imaging, medicine, ITS and deep learning. Product engineers, systems designers, and researchers showed particular interest in The Imaging Source's autofocus and 42 MP cameras. When paired with high-resolution lenses, the 42 MP camera delivers a low-cost vision solution with excellent price-performance ratio. 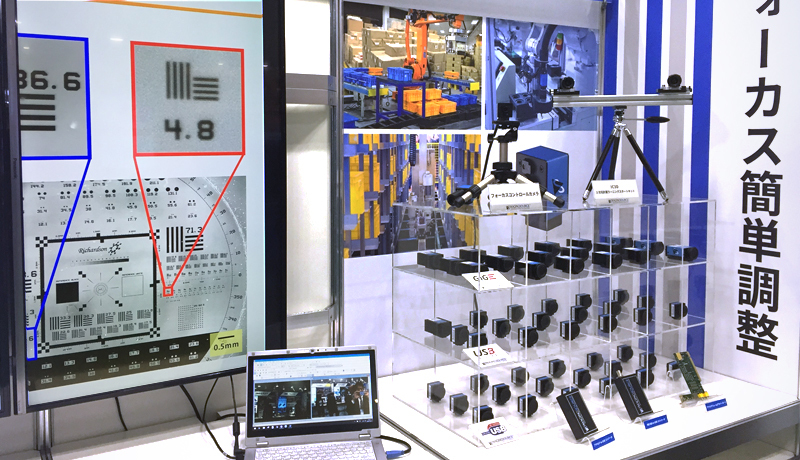 In addition to the over 100 cameras on display which included the newest cameras with USB 3.1 (gen. 1) and ix Industrial® Ethernet interface, booth demonstrations also included The Imaging Source's latest end-user software for camera control which was used for a multi-camera demonstration. Many thanks to ARGO Corp. for a great show! Post published by TIS Marketing on December 17, 2018.